Home - 390 photovoltaic panels of Solar heaven! 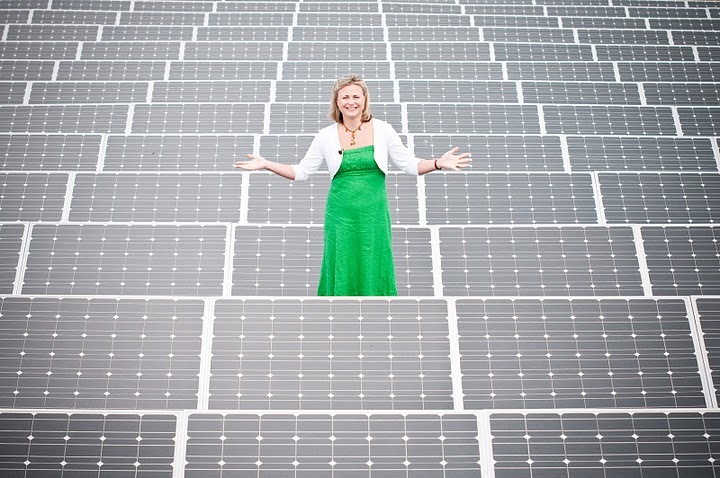 390 photovoltaic panels of Solar heaven! My name is Clint Randall and I’ve recently gone freelance after 23 years as a Press Photographer. My work now is a 50/50 split between Public Relations Photography, usually supplying pics for the papers I used to work for and Documentary Style Weddings. I live in the Cotswolds with my wife Claire and 3 kids. I had a very interesting shoot for Anglian Home Improvements yesterday. The job was out in the Cotswolds at a beautiful little village called Elkstone 7 miles west of Cheltenham, where I met Tomorrow’s World Presenter Philippa Forrester who was making a film for Anglian. 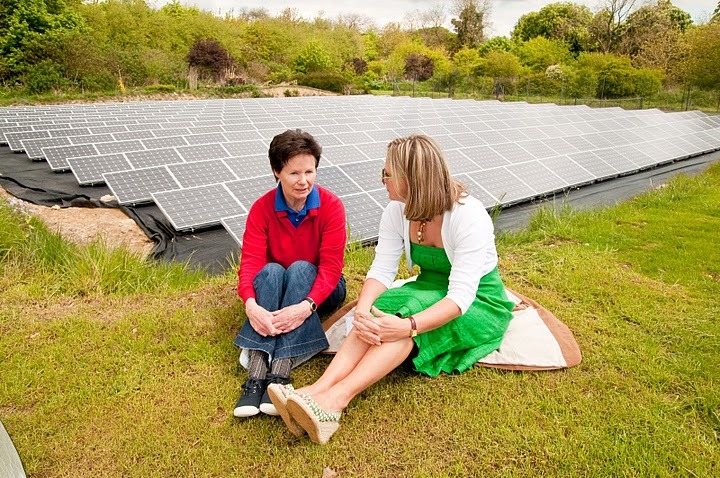 She was interviewing Christine Shine who lives in Elkstone Manor, a Victorian stone house in the middle of the village, about her invisible renewable energy scheme. Sure enough as I approached the Victorian Manor House there wasn’t anything to suggest that she has her own solar power station in the garden. At the top of a long slope leading away from the house stood Philippa chatting with the film crew. I’m always a little apprehensive when I approach TV celebs with my camera, sometimes they’re not keen to strike up conversation with a Photographer. No need to worry this time though, she was super friendly and at once made me feel like a welcome part of the crew. Once up close to the edge of the slope I could see a sea of 390 photovoltaic panels stretching over the area of 2 tennis courts, apparently the panels produce so much electricity that Christine can power up her land, that she rents out as a wedding venue, and still have enough left over to sell back to the National Grid. I live in the Cotswolds myself and I know from bitter experience that the price to pay for all this lush green landscape is that it rains, a lot, so how can solar energy work here? Well apparently the photovoltaic cells don’t need sunshine, just light, so they’re always working, and if you sink them into the ground like Christine has done, you can’t see them. I reckon that beats a windmill. Perhaps it’s the future for everyone with a bit of land.